Discover the Magic of Marine Audio Systems with Sol Control Custom! We have a complete Marine Audio Systems selection of products and we offer the best services to give you the maximum fun on the salt or fresh water. Plus, Sol Control Custom knowledge and professional installers know how they can even build a custom sound system that’s perfect for your Boat, Pontoon, Jet Skis, Watercrafts, Motorcycle, All-Terrain or any other outdoor recreational vehicle! Why Should You Use Boat Stereo Equipment? Some boating enthusiasts use Car Audio equipment in their Boats to get the sound they want when they are on the salt or fresh water. It seems to make sense because Car Stereos are easy to find and most boats have a 12 volt electrical system, just like an Automobile, so there are no electrical compatibility issues. However, Car Audio gear is designed to be installed in an enclosed vehicle where it will be safe from rain, splashing, humidity and salt air, so there are some important drawbacks to using it on your boat that you should know about. Call us today we can help you answer any question or concern. The Marine Audio Specialty Store for all of your Boat and Outdoor recreational vehicles Installation, for your Sound System Needs! Choosing The Best Stereo Sound System for your Boat, applications can be a challenge. For a lot of years we have helped outfit Boats, Pontoon, Jet Skis, Watercrafts, Motorcycles, All-Terrain and any other outdoor recreational vehicle all over the in New Port Richey, Florida and the Tampa Bay area with quality Stereo Systems. Our many years experienced make us uniquely qualified to help simplify the process for you. Waterproof Speakers and Subwoofers come in all shapes and sizes and it can be tough to know which one will fit. It’s easy to get more than you need or not enough. Our goal is to help you find the best setup for your Boat, Pontoon, Jet Ski, Watercrafts, Motorcycle, All-Terrain or any other outdoor recreational vehicle with any situation or needs. Whether you are looking for something for your boat or recreational vehicle, we are sure to have a system to meet your needs.We have a great selection of equipment from well-known manufacturers! Also smaller companies that make quality Marine Audio gear. We can answer any questions and help you choose the right equipment. And if you need expert advice on your particular situation, it’s just a simple phone call away. Call the experts of Sol Control Custom for all your questions and service needs! A quality Marine Amplifier will feature coated circuit boards, plated, non-corrosive connectors, and plenty of power. Subwoofers –Base matters on boats too, so it’s smart to invest in a sturdy, powerful Marine Subwoofer, look for plastic cones and rubber surrounds for maximum weather protection. Free-air rated component subs or enclosed subwoofers are good for the challenging mounting locations you’ll often encounter in a boat. If you do not plan on adding an external amplifier, look for a powered enclosed subwoofer. Speaker wire and cables — Marine wiring is an essential part of any Marine Audio System. All wires should be tinned. Did you know that bare copper can corrode quickly in salt water conditions? There are a lot of things to think about when you own a Boat, Jet Ski, Pontoon or any other outdoor recreational vehicle! We know that speakers aren’t necessarily at the top of the list, but they should be on your list somewhere, because Great-Sounding Marine Speakers can really add to your boating enjoyment! Speakers that -a work, and- b Sound terrific are a key element in any high-performance Marine Audio System. If you bought your Boat new, it probably came with a decent-enough set of speakers. 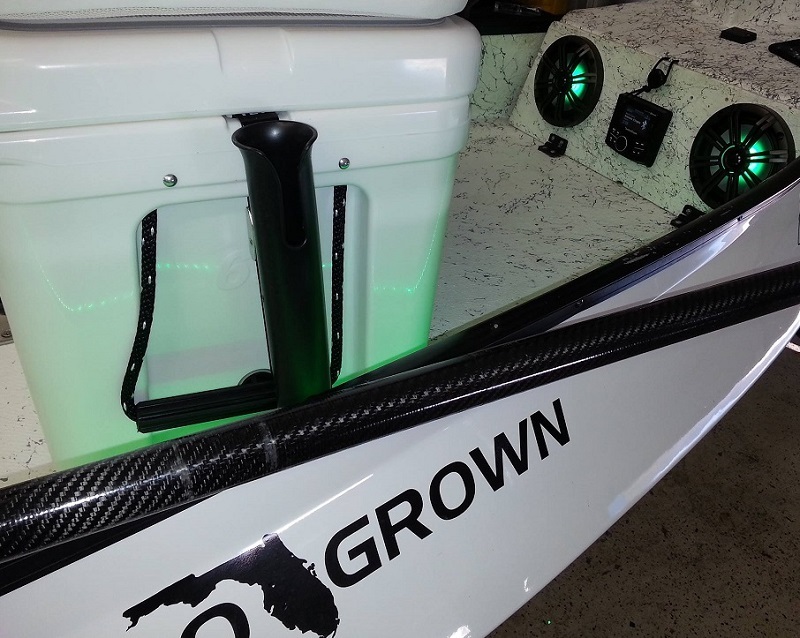 They probably don’t sound fantastic, but they’re not nearly as bad as the re-purposed car speakers you might find behind the grilles on a boat that’s “new to you.” Either way, if you’re serious about sound, you need a set of quality, Marine-rated Speakers! Marine Speakers are designed and built for life on a boat. Rigorous testing ensures that they’ll stand up to the elements. It’s also understandable that you didn’t think about your Speakers until you realized you had to. But you’re thinking about them now, and that’s the important thing, right? Tower speakers pump out serious sound for your Boat. Full Range systems are a one stop solution for awesome mid and high range sound. Built for the Marine life, these speakers play loud and throw long to entertain everyone – on both ends of the tow rope! Marine Speakers make it loud, clear and fun. Whether your boat is in the salt or fresh water, we know you need spectacular highs and lows to get that quality, full –range audio designed specifically for Marine. Want to learn more about adding audio gear to your Boat, Pontoon, Jet Skis, Watercrafts, Motorcycle, All-Terrain or any other outdoor recreational vehicle? 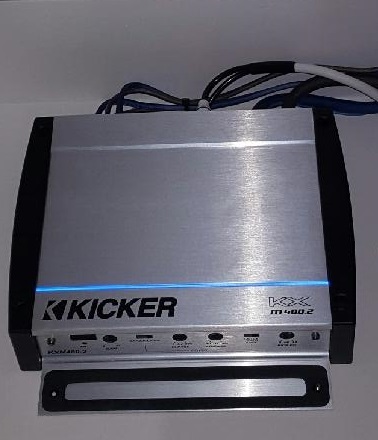 Come to our store on New Port Richey FL 5201 State Road 54 see our entire selection of Marine Sound Systems, give us a call today 727-843-8807, we have the knowledge and the experience to help you find speakers and any other products relative to a Marine Audio System. That will make your Marine Audio System, All-Terrain and any other outdoor recreational vehicle to rock. You want the best bass to let your friends know where the real party is at. With a completely weather-resistant Marine Sound System, Subwoofers, Speakers, Amplifiers, Radios and Tower Speakers a full line of products to make your life more enjoyable at one of the best relaxing times of your life! When you are at the water having a great time YOU DON’T HAVE TO worry about it! WE WILL MAKE IT HAPPEN FOR YOU!!!! Marine Audio Systems will give you the unique look and long-lasting bass you love for tons of fun on the water. Enjoy your trip with friends and family while we install your sound system for your Boat, Pontoon, Jet Skis, Watercrafts, Motorcycles, All-Terrain and any other outdoor recreational vehicle! Call Sol Control Custom today 727-843-8807 to learn how we can improve your Sound System.